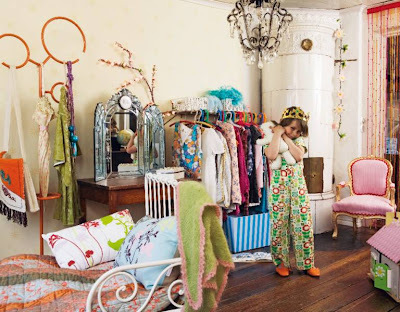 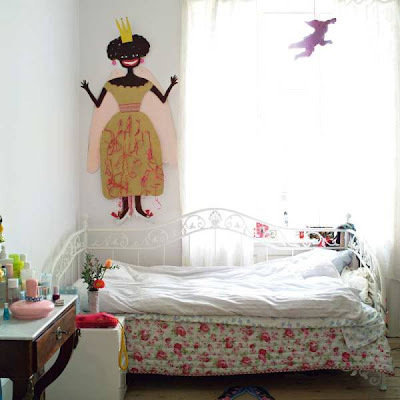 Colourful kid's bedrooms from the pages of Skona Hem magazine. 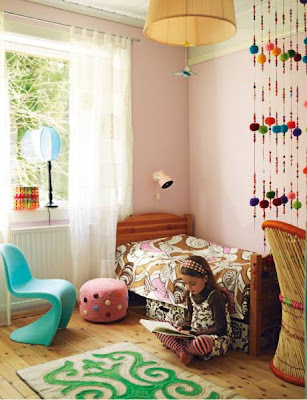 I love the wall art in this image! 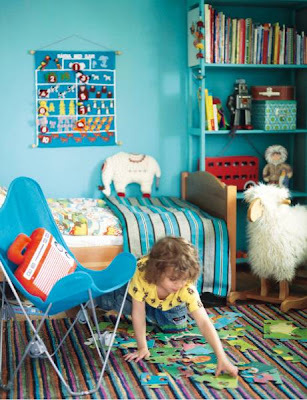 Tonal turquoise blues and stripes - a great place to sleep and play.